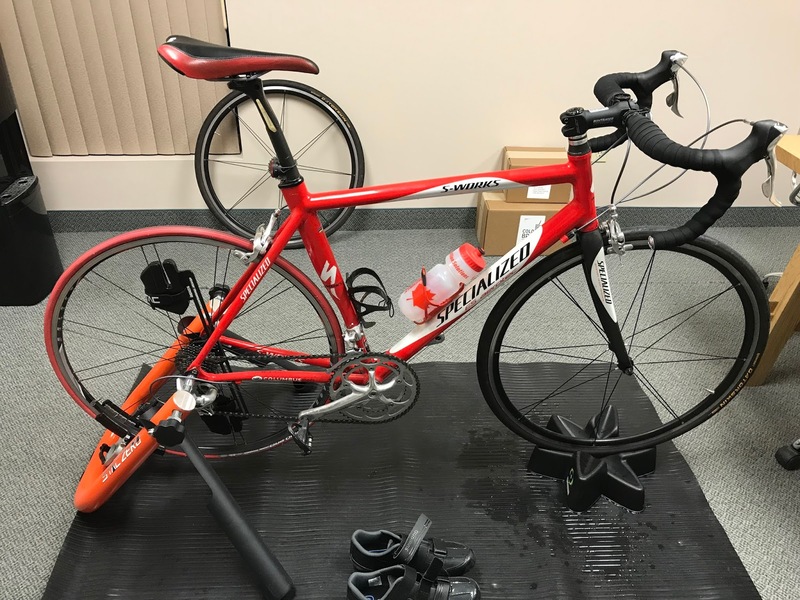 I have always considered my Computrainer unequivocally; the best investment for improving my Ironman performance - the ability to train with power, ride against previous performances allowed me to always ratchet my performance upwards, I could never lose to myself. I rode that thing religiously for 10 years - it made me a better cyclist. However, it was a bit of a chore to make it work with the new online platforms. I have been a bystander with the new online training environments - Trainer Road and Zwift. When considering a new trainer, I wanted to find a unit that had power and easily interfaced with Zwift (based on my personal community - the most popular). After researching a bit, I came across an innovative product with a new technology, STAC Zero. Frankly, it appeared to be too good to be true. Price point was great, had power and their technology is silent. How do you say? Magnets. I encourage you to take a look at their site to read about their system. Besides being silent, it works with my mountain bike as well, as the magnets create resistance by being placed adjacent to your rim. No need for training tires - easy to go from trainer to the road or trails. After reading reviews from some really respected folks in the community, including DC Rainmaker, I was convinced. (DC Rainmaker Annual Trainer Recommendations). I received the unit a couple days after ordering. Set-up, Zwift account set-up and my first ride were all on Dec 2nd. I didn't ride it again as we had a winter warm spell and then I went to Cape Town for 3 weeks. I got used to riding in South Africa with the 30°C weather. It was a shock upon my return - now it is -16C here in Canada; time to ride the trainer again! After a couple of rides, I feel it's time to provide my initial thoughts. As there is no huge drive unit - the design allows it to be folded flat, takes up little space and would be extremely easy to travel with. 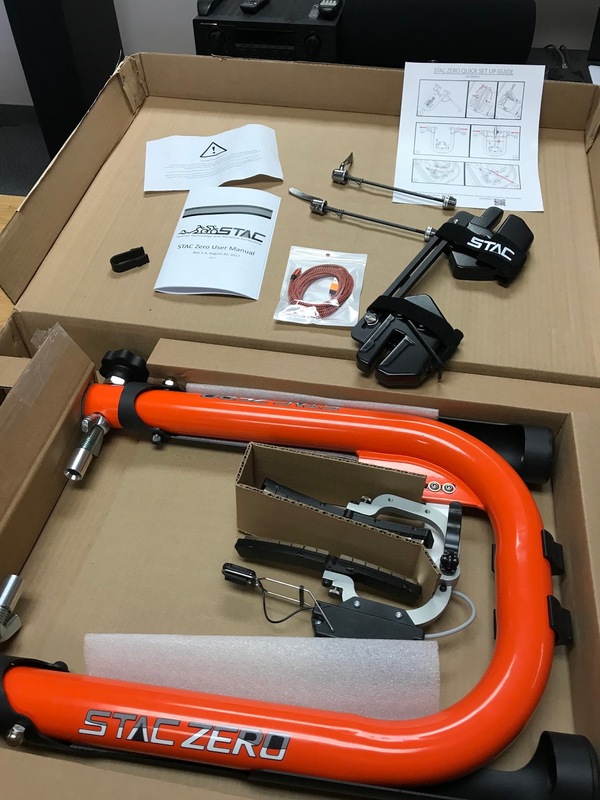 I am aways a fan when you open a product and it is well packed - the STAC Zero was all that, very little to set-up and an easy to follow quick set-up guide. I set the unit up in a couple of minutes - super simple. I did struggle installing the Wheel Weight that acts as a flywheel to provide that smooth pedalling feel. You will see the wheel I tried to install it on (top image), has a strange spoke pattern, so rather than struggle - I swapped the wheel with another I had on hand (Note-after discussing with the STAC Zero Team, they let me know there is a new design for the wheel weight that easily accommodates varying spoke patterns). Start to finish - 15 minutes and I was pedalling. I did try pedalling without the wheel weight, more for interest than anything. I did find the pedalling to be jerky without the wheel weight. Once installed,in smooth and I had plenty of resistance. Now I need to get a Zwift account and figure that out. my account set - I put my bike gear on and was ready to go. 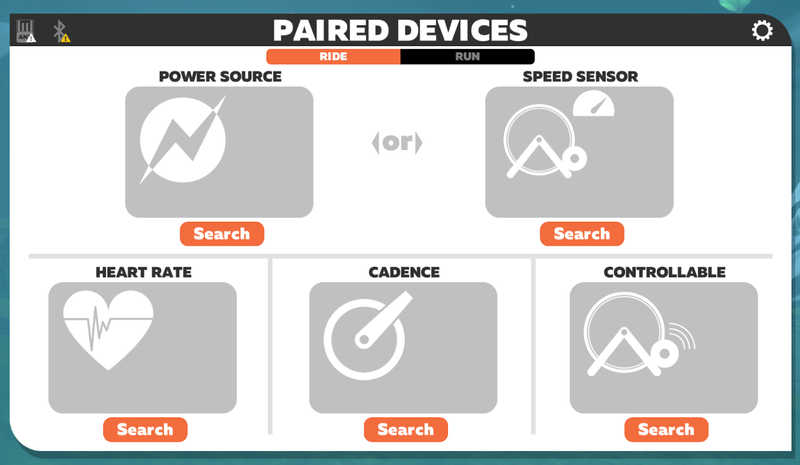 As soon as you sign into Zwift - this screen appears (right). 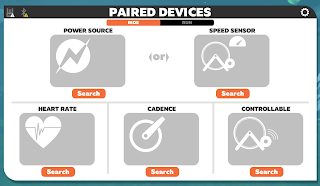 I spun my wheel to wake up the power meter and instantly STAC Zero showed up in the Power area when I searched for devices, after clicking I was set. Started a ride and my power was there, speed and cadence - that easy. 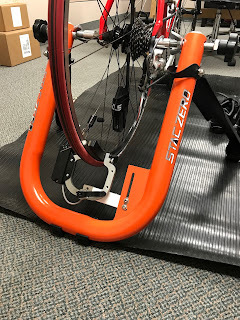 I rode for 45 minutes and was super impressed - great start (First STAC Zero / Zwift Ride). As mentioned, I wasn't back to the trainer until coming home from vacation - rode for 90 minutes and again was really impressed. I have a bit to learn riding in the Zwift environment, but as far as the trainer goes - so far so good. I am really happy to have power again and to be able to interact with the online platforms. The STAC Zero gives me plenty of resistance - riding at 244-250 watts feels smooth, I did stand and pushed some harder gears at lower cadence - seeing values in the 350's, has plenty for me! So cool that these little magnets (above) that don't touch your bike at all create smooth resistance, while the only noise being generated is from your bike drive-train. If you have any questions for me, ask in the comments - if I don't have the answer, I will get Andrew to chime in. I am going ride for a month and I will report back on how things are going. Hope your New Year has started well - have a fantastic 2018.